South Florida CARES in partnership with Starbucks and the City of Miami Gardens presents a special community Initiative through the local Miami Gardens Starbucks Community Store open to all residents to receive career-readiness training and/or community wellness circle programs facilitated by South Florida CARES Mentoring Movement. 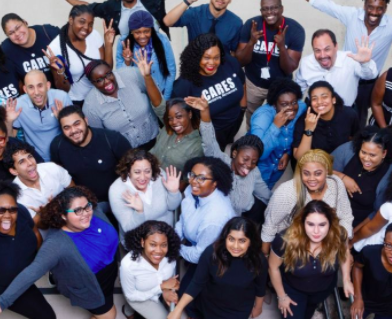 Join us for Career-Readiness Programs targeting youth ages 16-24 and for ongoing in store Community Wellness Circles targeting teens/adults ages 16+ and learn more about our trauma informed, evidenced based Rising Program. We'll create a safe space together inside our Starbucks in store dedicated private room for learning and sharing. Scroll below to register and also visit our CALENDAR to learn about upcoming events and get involved or volunteer today. 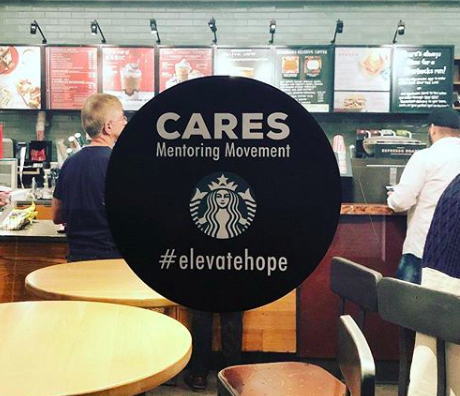 — Join CARES and Starbucks' for a special series of career readiness x wellness mentoring trainings at a store near you. Are you between the ages of 16 - 24 yrs old? Can you commit to a series of classes on career readiness with StarbucksCARES? Minimum 6 sessions.